Happy Holidays to all customers and partners from the entire crew at Secomea. Thank you for making 2014 a great year. A record number of SiteManagers were sold and installed worldwide, we attended exhibitions and events all over the world and for the second year in a row we were awarded the prestigious Gazelle Prize. Our remote access solution was officially security certified as the first one worldwide, consequently setting new standards for the entire industry. We look forward to another year of innovation and growth. 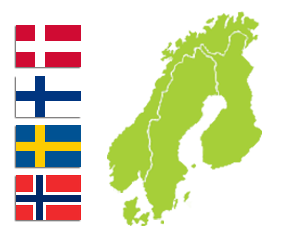 After some successful years in Norway and Sweden, Secomea is now ready to take on the Finnish market. We are therefore happy to welcome the Finnish system supplier Elkome Systems Oy as our new official distributor partner in Finland. As an importer of products from leading device manufacturers and an experienced system builder with customers including machine and device manufacturers, research institutions, defence forces and industries needing device solutions for challenging conditions or locations requiring special standards, Elkome is a very competent partner for us. With the recent release 5.8, a wealth of combinations of SMS and Email alert methods were introduced. GateManager monitoring the status of devices, digital ports etc. Bottom line is that the Secomea solution adapts to any delivery or trigger mechanism that your PLC, HMI, IPC or other industrial device may desire. This is tightly coupled with our philosophy of having the most flexible remote communication solution for the industry. 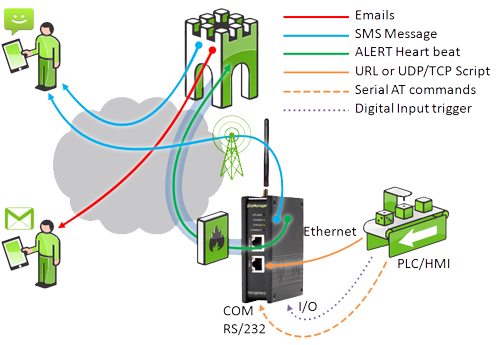 Details and configuration instructions are available in the updated application note ”Working with Email and SMS alerts”, which can be found here on the Secomea website.